Egypt’s House of Representatives approved amendments to the law of residency and citizenship in its general session on Sunday, granting the Interior Minister the authority to grant Egyptian nationality to the new category of residents with a deposit of LE7 million, after half of the 10-years period stipulated earlier passes (5 years). According to the amendments, the State Treasury will claim the deposit’s value. The new amendments sparked widespread controversy and overall mixed reactions. Abdel Aal explained that countries all over the world give nationality to their residents, but due to high demand there must be set conditions to ensure the seriousness of the request. According to him, the whole world is beginning to follow this logic in granting nationalities in return for a deposit with specific conditions, the first being not to disturb the security of the state or to endanger its public order. The law originally divided foreigners in terms of residence into three categories: foreigners with special residence, foreigners with regular residence and foreigners with temporary residence. The amendments have now added a new a new category: foreigners with a depository residence. “Nationalities are only granted, and the state has the right to take them back,” he said in a television interview on Monday evening. The nationality will be granted to investors to encourage and motivate them to invest in Egypt, within the framework of several criteria, the most important of which is the protection of national security,” Maaid said. MP Khalid Hanafi, a member of the Constitutional and Legislative Affairs Committee, said that the amendments to the law are being applied in many countries around the world, pointing out that there are many rules for granting citizenship, such as requiring the approval of the cabinet and not just the Interior Minister. During the parliament’s general session, he added that the a deposit of LE7 million in the bank for the acquisition of the citizenship is a “very large sum”, and in the case of granting citizenship, the deposit will be for the State Treasury, to benefit the economy to increase reserves of foreign currency. Sameh Sedqi, an economist who submitted the amendents to the governemnt, said in a previous interview with Al-Masry Al-Youm that the law would earn Egypt an income of $150 billion over three years, pointing out that the government has made some negative changes to it. 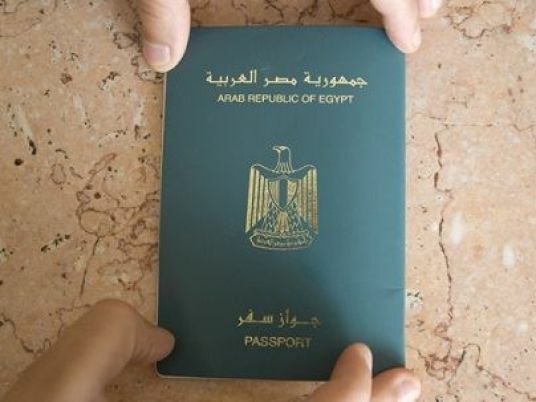 Economic expert Wael al-Nahhas said that the amendments to the residency law and the granting of citizenship “will not contribute anything” to activating the investment, stressing that «Egyptian nationality will be the nationality of those who have no nationality». In statements to Al-Masry Al-Youm, on Tuesday, Nahhas predicted that the Bidoon (Stateless people), who do not have any nationality especially in the State of Kuwait, will apply to obtain Egyptian citizenship due to their remarkable wealth. The head of the National Defense and Security Committee in the parliament, Kamal Amer said that the Egyptian citizenship grants foreigners access to several advantages, including political rights provided that the proper time has passed, as well as parliamentary and ministerial positions and access to free education and health systems. Omar Mehanna, businessman, chairman of the Egyptian Center for Economic Studies (ECES), says that residence on a deposit guarantees the right to purchase and own land, and the right to expand the establishment of projects by providing investors with equality with Egyptian businessmen and investors. In statements to Al-Masry Al-Youm, Mehanna said that the deposit of LE7 million “is insufficient to ensure that the Egyptian investment is activated,” advising that the deposit be in foreign currency. Mehanna suggested that the law obligates those wishing to obtain the deposit citizenship to directly invest with the value of the deposit, provided that it is in foreign currency. Abdel Khaliq Farouk, an economist, condemned the amendments to the law and stressed that “it will not contribute to anything in activating the investments.” He recalled the Lebanese trial to grant its nationality for the same purpose which ended in failure. Proposal to amend the provisions of the granting of citizenship submitted to the State Council by former Minister of State for Legal Affairs and the House of Representatives Majdi al-Ajati mid-2016. The explanatory note stated that the amendment comes from “The policy adopted by the state to encourage the investment of Arab and foreign funds in economic projects, and to facilitate strong connections for foreigners in Egypt, to create an atmosphere of confidence and stability to reassure investors on their funds and projects and to achieve family stability”. Fees to obtain Egyptian citizenship soar to LE 10,000; Anyone still interested?